Palma is full of treasures and is a favourite of The Luxury Editor. The city is known for its varied architecture thanks to a mix of Spanish and Muslin influences, its vibrant and evolving dining scene, and of course it’s beautiful seafront. Add into the mix the beautiful Mediterranean climate and you have the beginnings of the perfect escape to the sun. Check out our favourites to eat, sleep and do in the Mallorcan capital. Located in a restored old town palace bursting with history, Fera is on the ground floor of the Circulo Mallorquin, the island’s oldest and most distinguished social club. Whether you are in for a relaxed lunch, gourmet dinner, or cocktail and tapas at their chic bar, Fera is only a stones throw from the city centre. Executive chef Simon Petutschnig serves up a mouth-watering selection of dishes with a unique combination of Mediterranean-Asian flavours and textures. Pair your meal with one of the hand-picked wines on offer at Fera, some of which are exclusives to the restaurant. It won’t only be the food at Fera which delights too the sophisticated décor features is contemporary Spanish at its best and the restaurants eclectic collection of curated art by Aba Art Lab is stunning. Set in the up and coming Sa Gerreria neighbourhood, Bocalto is still a bit of a hidden gem. Vibrantly graffitied walls on the street contrast with the sophisticated restaurant inside, serving modern Mediterranean fusion. With a plentiful selection of fresh seafood and steak options this is great for the carnivores amongst us. The menu is simple but satisfying, with head chef Alvaro del Campo using high quality produce to create Mediterranean dishes with an international twist. The restaurant décor features modern botanical wallpaper, warm tones, contemporary green velvet chairs, and airy textiles dividing dining spaces which makes for a sophisticated, modern bistro-like setting. 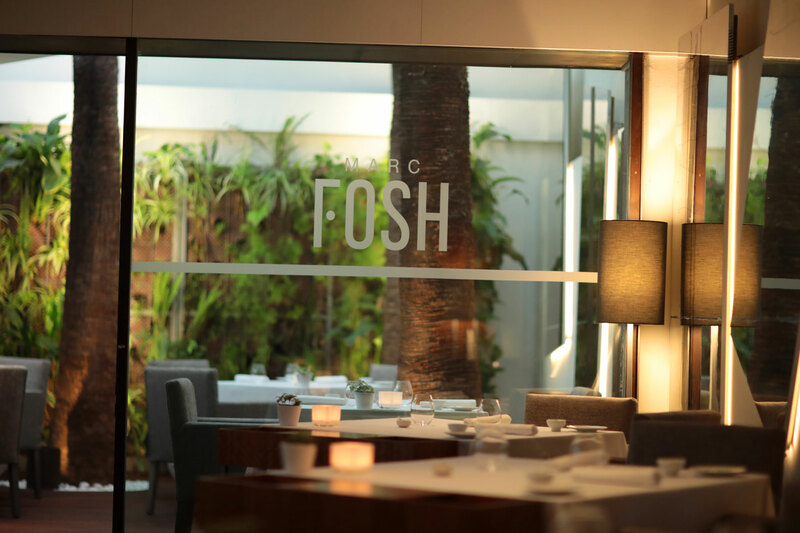 Housed in the 17th century Hotel Convent de la Missio, Marc Fosh restaurant offers the best in Michelin starred cuisine in a modern and relaxed setting in Palma’s old town. The first British chef to be awarded a Michelin star in Spain, Marc creates menus which are inspired by his Mediterranean surroundings and local produce. The restaurant sources the best local ingredients from across the Balearic Islands and we would recommend trying the tasting menu to experience the best of this. Their wine list showcases regions from the old and new world, encompassing traditional and modern styles of wine making, with a focus on artisanal growers. 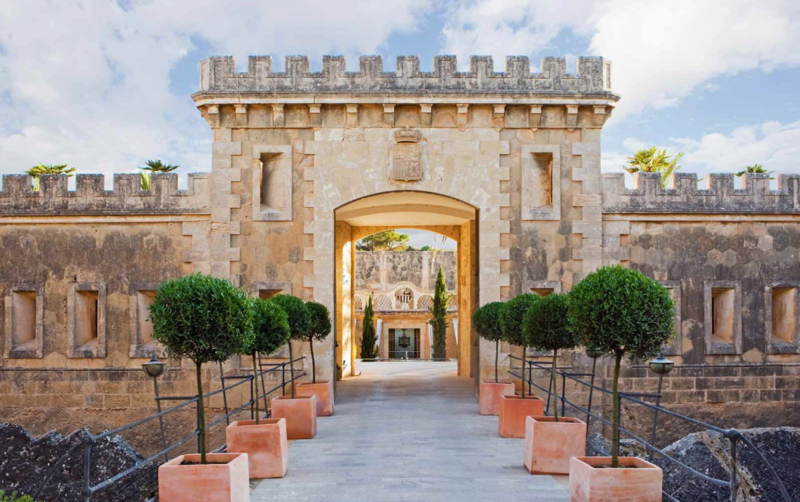 Take a day trip out of the city to the Cap Rocat hotel, a former military fortress located in the secluded area of Palma de Mallorca’s bay. Staying at the hotel will be sure to please, but even a day visit to the incredible spa there is an experience like no other. Carved into the depths of the fortress, the spa is situated in the former water deposit, beneath the main building. Enjoy the dramatic saltwater swimming pool, sunk 12m below ground level and the conservatory style glass ceiling which allows the beautiful Mallorcan sunshine to flood in. With multiple airy treatment spaces and an elegant but rustic luxury décor with a Mediterranean twist, this is one of the most beautiful spas we have seen! 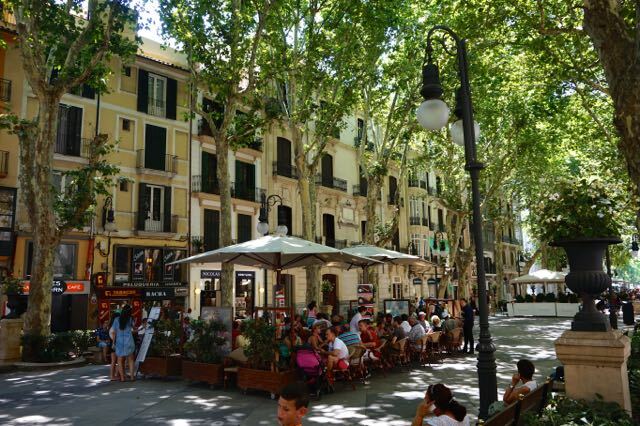 This wide tree lined promenade has been the heart of Palma for more than a century and is ideal for those who love to shop, with a variety of stores, from Spanish high street favourite Zara, to designer brands such as Hugo Boss and Louis Vuitton. The promenade also plays host to parades and fiestas and is worth going to see even if you’re not a fan of retail therapy! Enjoy a late afternoon stroll with a bit of window shopping along the Passeig des Born before settling into a sweet little tapas restaurant for the evening. 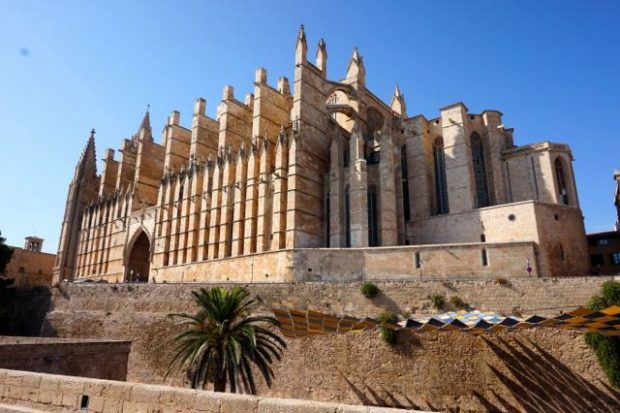 Palma is known for its multicultural influences; it’s location in the Med has meant it acts as a meeting point for middle eastern and European cultures and architecture. For possibly the best example of Muslim architecture in Palma, visit the Banos Arabes on Can Serra Street. 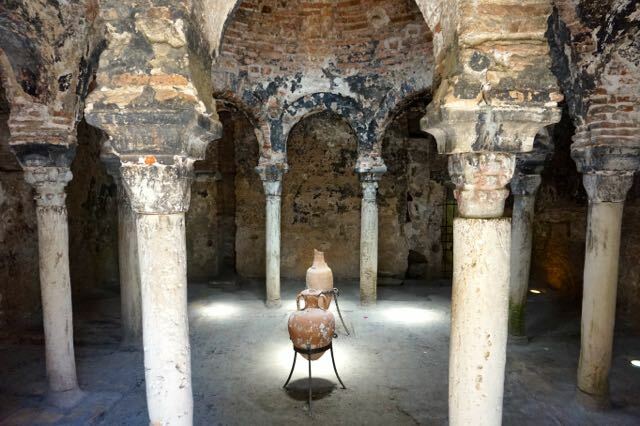 Located in the beautiful gardens of Can Fontirroig, the Arab baths are an incredible glimpse into the city’s history. The architecture is said to date from the 11th century and it is thought these baths formed part of a noble Muslim’s palace. This chic marina styled by design guru Philippe Starck, is so much more than the Balearics’ most exclusive place to moor your yacht. It’s a leisure destination for the chic traveller; with an impressive array of attractions; from cultural festivals of music and film; upscale ‘pop-up’ Art & Crafts Market; world-class water sports; cool places to eat & drink; as well as independent boutiques and designer stores. For the best chauffeur driven luxury vehicles and upscale car rental, then turn to Transfer Class. Add some luxury to your flight to Palma by buying a Priority Lounge Pass. 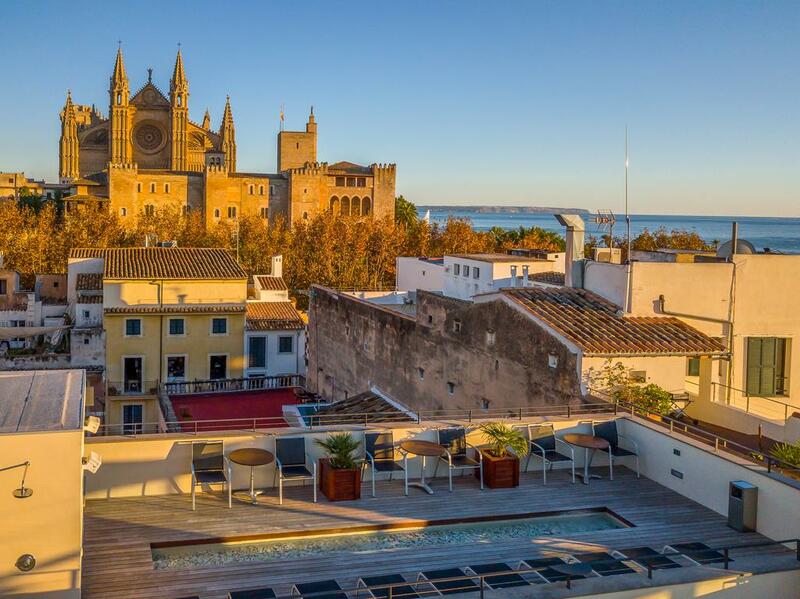 There’s not much about the Hotel Es Princep not to like: the location in a peaceful corner of the old town, close to the city’s ramparts; the incredible 360 degree views of Palma Bay; the huge roof terrace with stunning infinity pool; the luxurious spa; and the two dining options. The hotel exudes elegant minimalism, is airy and bathed in natural light, a welcome oasis from the Mallorcan heat. The 68 rooms are sophisticated and relaxing, decked out in neutral shades and featuring dark wood furniture and contemporary art and lighting. An added plus is that all rooms enjoy seascape views, a truly lovely sight to wake up to. 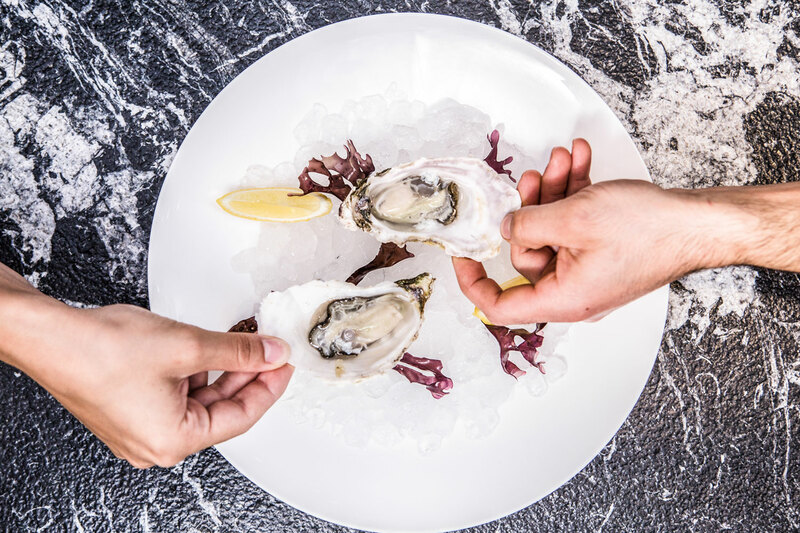 Foodies won’t be disappointed here either with choice of the best Mallorcan gastronomy at Balaroja, or all day casual dining at Mura, both helmed by local chef Andreu Genestra. 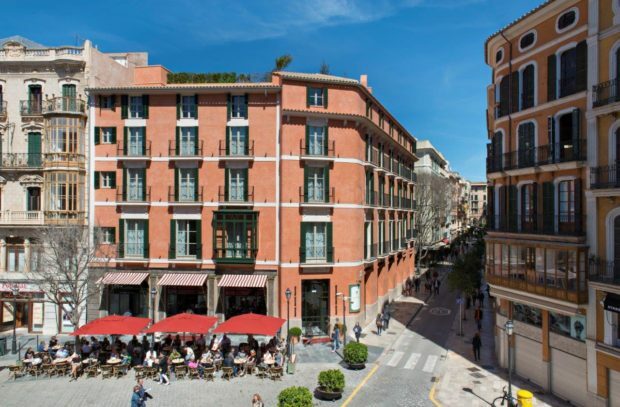 Situated in somewhat of an architectural treasure, the Hotel Sant Francesc was built in neoclassical style in the 19th century and once belonged to the Alomar Femenia family. Now a stunning 5-star hotel, the restored and renovated building boasts 42 rooms and suites, many with original features such as wood-beamed ceilings, covered verandas, original frescos and moldings. Room décor is achingly sophisticated and make for an elegantly tranquil oasis in the centre of the city. Enjoy a journey for your senses at the ‘Quadrat’ restaurant and garden where head chef Alfonso Lillo offers diners the best in contemporary Mediterranean cuisine. 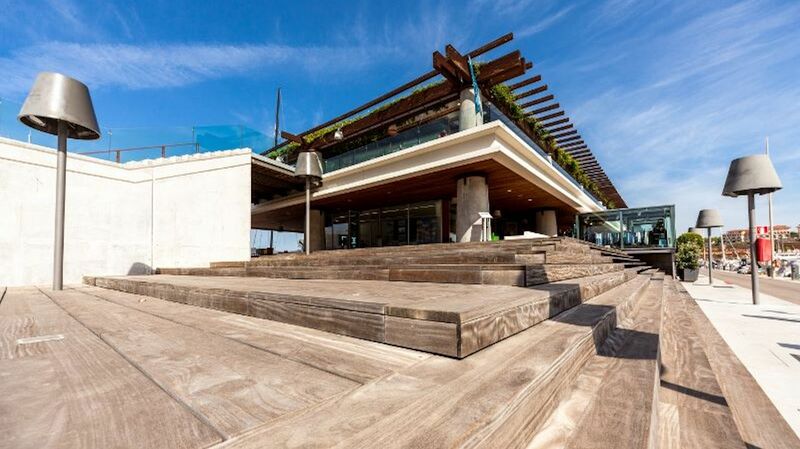 The Lobby bar and Mallorcan patio is a chic meeting point for a relaxed drink with friends, but the cherry on the cake is the rooftop terrace and sushi bar where guests and locals alike can enjoy the panoramic views as the sun goes down on this historic city. Aesthetically combining a new modern structure with the remnants of a 16th century palace, Hotel Tres is comfortable, modern and elegant. Rooms are a mix of rustic Mediterranean style and contemporary design and public spaces are sophisticated whilst still comfortable and homely feeling. The hotel sits at the centre of the old town and the views enjoyed from roof terrace offer a beautiful snapshot of the city skyline. The Hotel Tres Bar Lounge features a range of light bites plus delicious cocktails and local wines by the glass – a great spot for a quick nightcap or evening catch up. The internal courtyard space is a green, Scandinavian feeling space ideal for catching some morning rays. 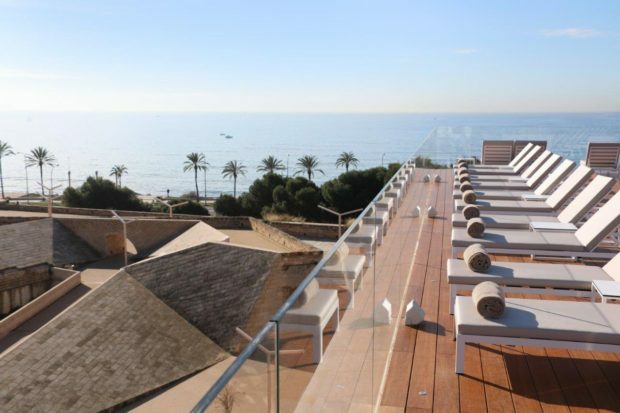 Capturing the timeless elegance of an upscale family residence, combined with the flair and style that is unique to Mallorca’s Cappuccino bars, the new Hotel Mamá endeavours to bring a touch of magic to the Palma del Mallorca hotel scene. Hotel Mamá offers the kind of boutique luxury one is coming to expect in the Mallorca capital, with a rooftop pool; a new gym; a wellness spa with hamam; Jacques Grange designed guest rooms; and a few surprises like the hotel’s private cinema ‘Cappucine’ where guests can enjoy matinees of classic movies. 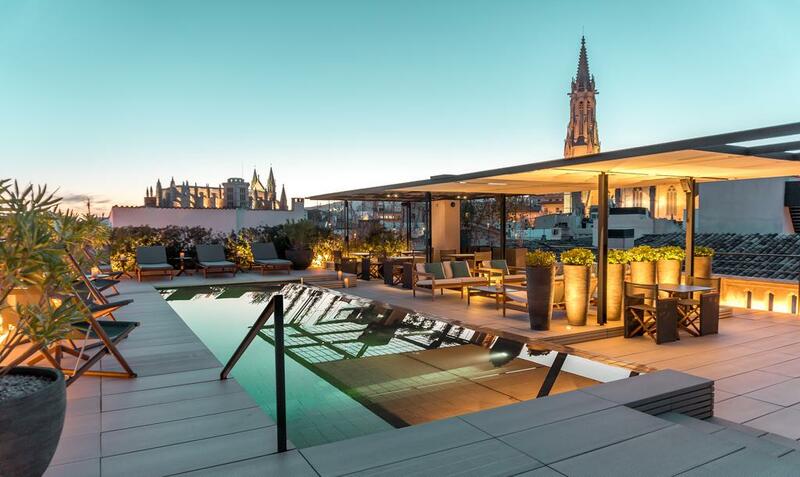 For more luxury hotels in Palma, read our luxury hotel guide. Want even more things to do in Palma? Read our weekend guide to the city.